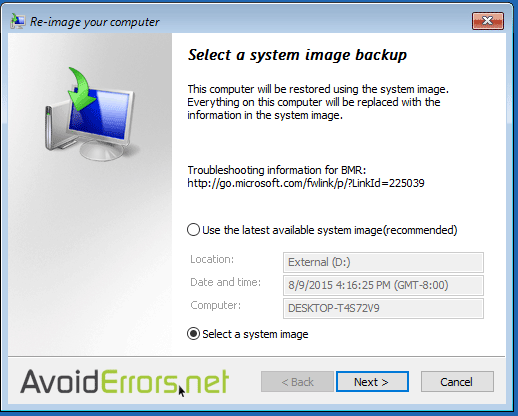 This tutorial is on how to create a system image backup of your Windows 10. I’m also going to show you how to restore from from this image back up in case you need it in the future. For this video tutorial I’ll be backing up to an external hard drive. 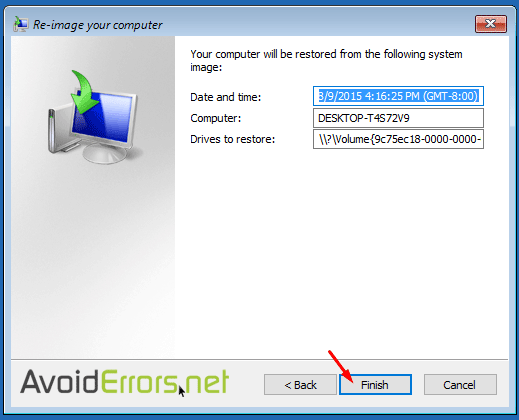 The same process of imaging also applies if you are using an internal hard drive or partitions. 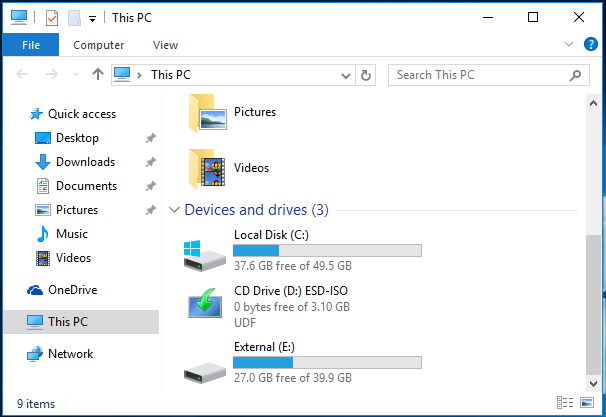 Go to This PC, to find out the drive of where you are placing the image back-up, other than your drive C: Also make sure that the back-up drive has more storage room than the space used of your C: drive. 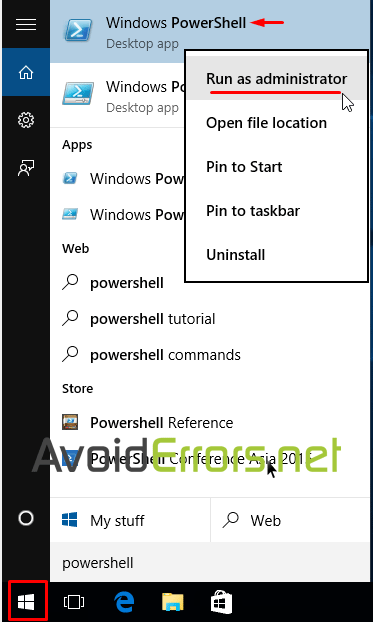 Right click Start Orb and type PowerShell, from the results right click Windows PowerShell then Run as administrator. Click yes to the User Account Control if prompted. 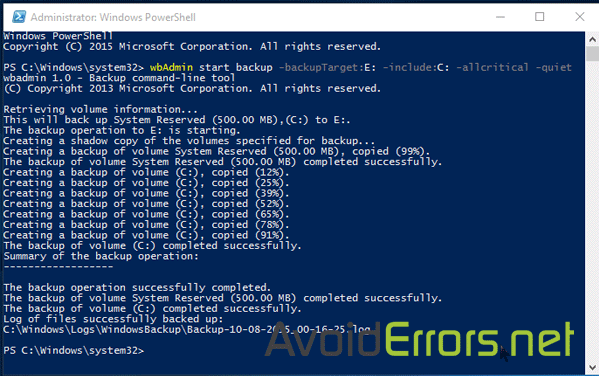 Note: The above command tells the Windows to back up the C: drive onto the E: drive, including all critical volumes containing the system’s state. The -quiet switch tells the cmdlet to run without prompting you. Of course, you’ll have to replace the letter values with your own values. 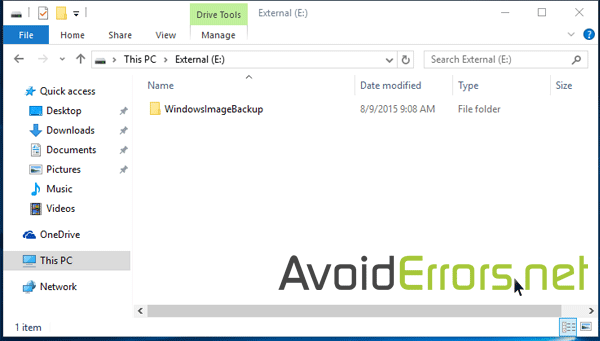 Instead of “E:” as the backup target, use whichever drive you want to save the system image to. The command will take some time to run, depending on how much information is being backed up. After it’s done, you’ll find a “WindowsImageBackup” folder containing your backup images on the backup drive you specified. 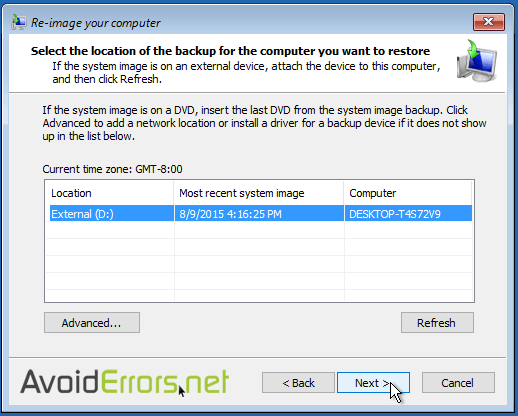 To restore a system image backup, you’ll need to boot from Windows 10 installation disc, or system repair disc. I will be using the installation disc since is free for now. 1. 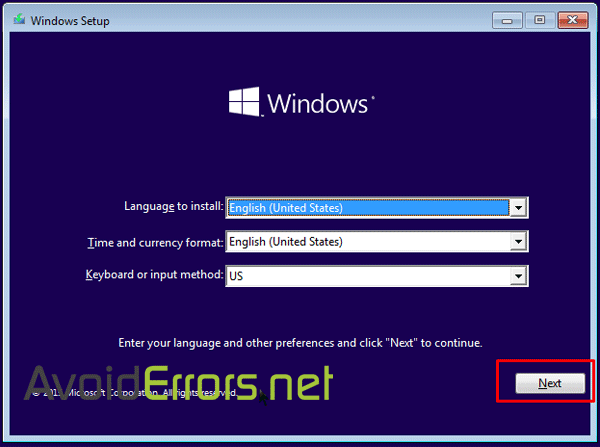 Download Windows 10 ISO. 2. Burn Windows 10 ISO onto a Disc. 3. Change the boot sequence in BIOS. Insert the Windows 10 installation disc, or system repair disc and reboot your computer. 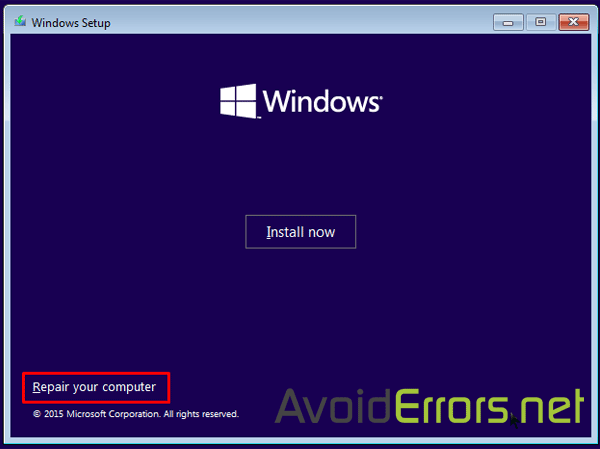 In the first windows setup screen, click on next button. Click the Repair your computer link. on the bottom left. 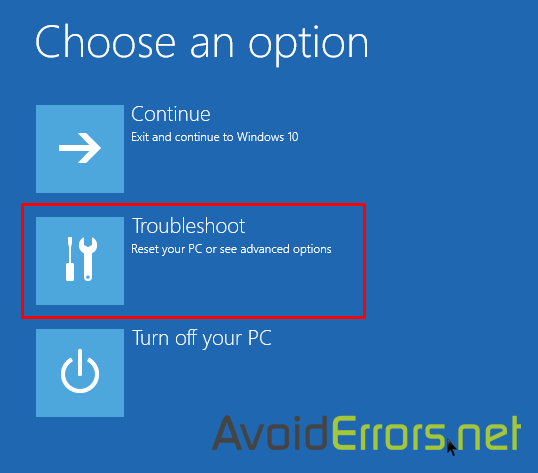 Click the Troubleshoot icon from the Choose an option Window. 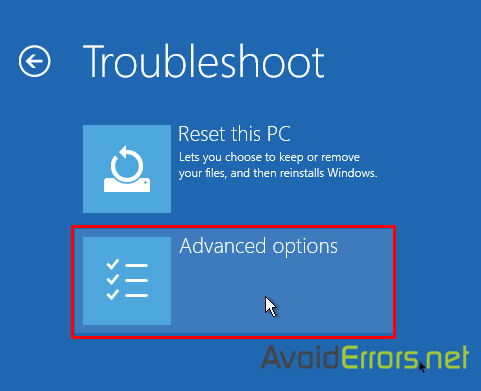 Click the Advanced Options icon in the troubleshoot Window. 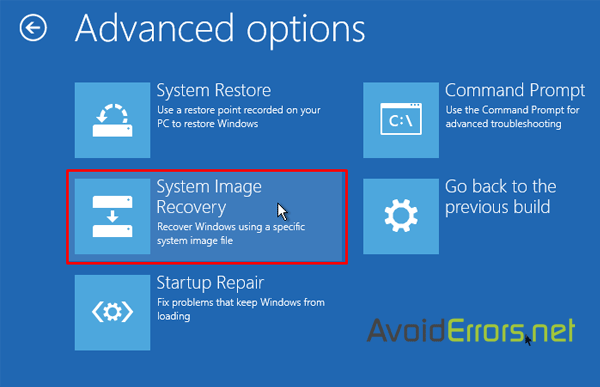 In the Advance Options window click on System Image Recovery icon. Choose the target operating system witch would be the Windows 10. Windows 8.1 will scan your computer to detect any recent images created. Because we booted of the disc the drive letter might change but not the drive name or date and time. If you have created multiple images select the latest one and click on next in the Re-image your computer window. Check-mark Format and repartition disks. click next. 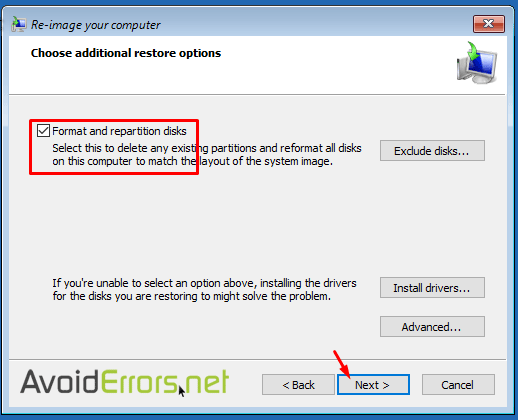 Confirm the re-imaging process by clicking on finish and click on yes to the warning saying that the drive will be re-image from the back up you created. Once you re-start your computer should boot exactly the same as when you created the image backup.